Odyssey has a full service cafeteria ready to feed healthy, fresh meals made daily for all of our school community and their families. Parents and siblings are welcome to sign into the front office and join their student for lunch. Payment for breakfast and lunch can be made by check (made out to Odyssey Charter School) or cash. Payment may be brought to the classroom where the teacher will record the payment information. Families may make out one check for multiple children – please note on the check the amount per student). Prepayments are always welcome. A la carte items range from $0.50 to $1.50 and are strictly optional to purchase. If families do not want their children to have the option of purchasing a la carte items, please inform the Café Manager or Cashier. If your child has allergies to any foods, please send in a doctor’s note. If your child has a milk allergy and would like juice served to them at lunch, the doctor’s prescription must state that juice should be substituted for milk. Free and *Reduced prices are for students who qualify for either a free or a reduced price meal according to the Federal School Lunch Program. All families are strongly encouraged to fill out free and reduced lunch forms during our registration. If you would like a form, please contact the front office or the café. Odyssey Charter School and Odyssey Charter Jr/Sr High have enhanced our online payment service through a partnership with EZpay. Using your credit or debit card, you may pay for your child's school meals. •	Deposit funds to your student's account via credit card at your convenience, 24/7. The money will typically appear in your student's account within 24 hours. •	Set up a single account for all the students in your family. •	See your student's cafeteria purchases. •	Maintain a complete record of your payments. EZpay is secure and easy to use. To set up an account, you will need a valid e-mail address and your student's ID number. There is a $2.00 transaction fee per transaction. 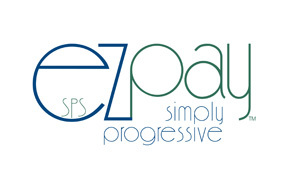 Access EZpay by clicking on the link provided at the bottom of this page. As a first-time user, you will be asked for your name, address, phone number, e-mail address and a password. To ensure your privacy and security, EZpay uses DigiCert Secure Sockets Layer (SSL) software and requires a password at login. •	When entering your student's ID number, omit any leading zeroes. •	Enter your student's name as it appears on his/her school registration -- e.g. William, not Bill. •	Mac users should use either Safari version 3.1 or the Firefox browser. •	For families with students transitioning between schools -- e.g. leaving GIS Gr. 6 going to GMS Gr. 7, your child's account may not show up right away. If this happens, create a new account for your child and the information from the previous year will appear in the new account.